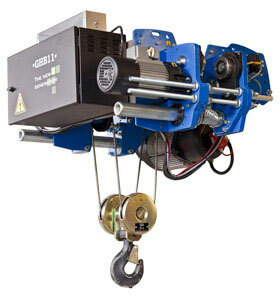 New Hoist Generation (GHA12, GHB11, GHD13) until 12,5t. | GH crane and hoist manufacturer. 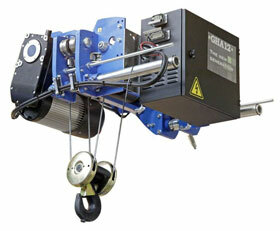 Hoist / New Hoist Generation (GHA12, GHB11, GHD13) until 12,5t. The GHA12, GHB11, GHD13 incorporate frequency inverters to its hoist and cross travel movement as a standard feature. This inclusion has improved the performance of aspects such as speed control, movement precision, acceleration and load braking. 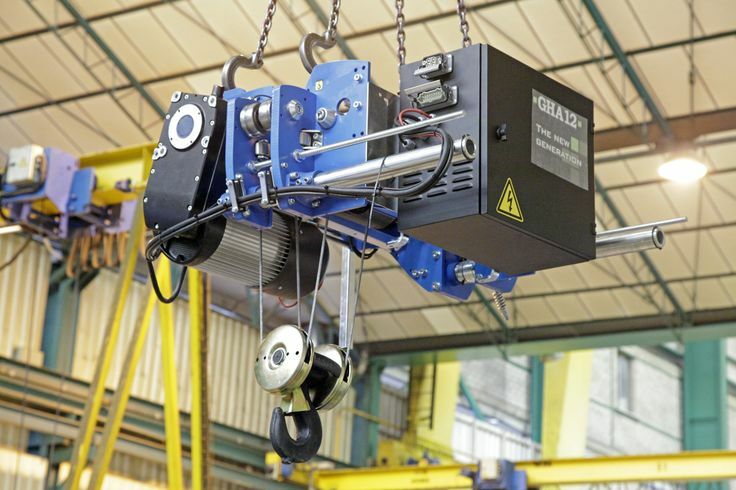 This feature also prevents hazardous swing, improves motor protection and extends the working life of the motors and other crane mechanisms resulting in decreased maintenance costs. Better speed and precise movement control. Smoother startup and stopping movements. Reduced starting current and more durable electric and mechanical components, motors, brakes and gears. No wear to the brake as it functions as a parking brake. 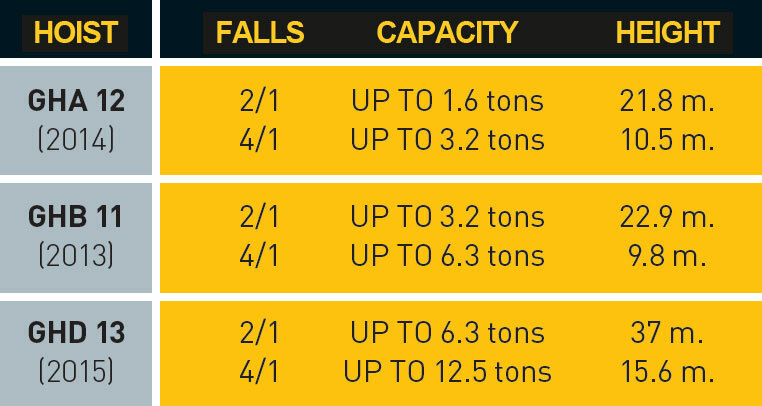 Higher productivity from increased speed when operating with lighter loads. Easier synchronization for lifting at different speeds. which make up practically 95% of market demand. The new hoist´s modular design enables much of the structure to be used for assembling the dif ferent hoist configurations, different rope arrangements (4/1, 2/1, 4/2, etc. ), drum lengths or installing a second motor. 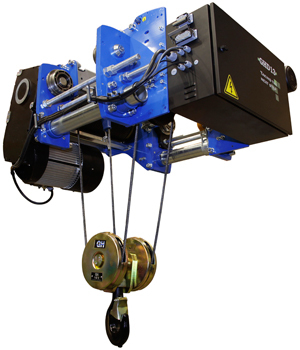 This design makes GH´s new hoist competitive and quick to manufacture.